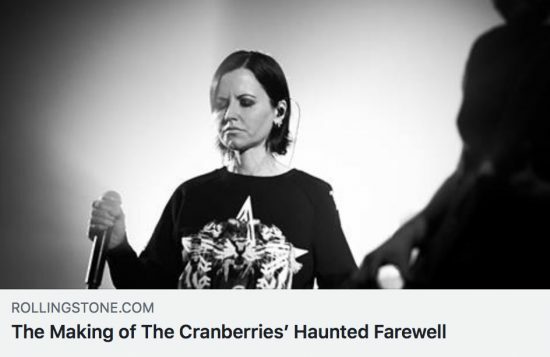 “Since there were no lyric sheets and the songs were numbered, not titled, Street took to writing down the lyrics as he heard them.” I guess this confirms that we’ll never really know what Dolores whispered at the beginning of All Over Now. Also, very interesting that she wanted to record So Good (and forgot it was a Roses track). I wonder if the song would have sounded the same or would have had a different twist to it. Great, very in depth article. That’s possible, it seems like a good explanation. My interpretation is somewhat darker: I get the impression that maybe she literally fought her way out, and the man may not have survived the fight. That’s where the “I vowed” comes in; like she’s saying “I vowed: Till death do us part, and I kept my word”. This article is so moving, especially that part about their last contact with Dolores. It made me cry a couple of times. I’m still very sad. Ferg is right, 46 is way too soon :(. She is so missed by all of us. Agreed, very moving sharing from the band. I know it’s been a year and who am I but a stranger to her, but her passing really still makes me so sad, to the point I can’t listen to the “5 new songs” shared here earlier and this new material.